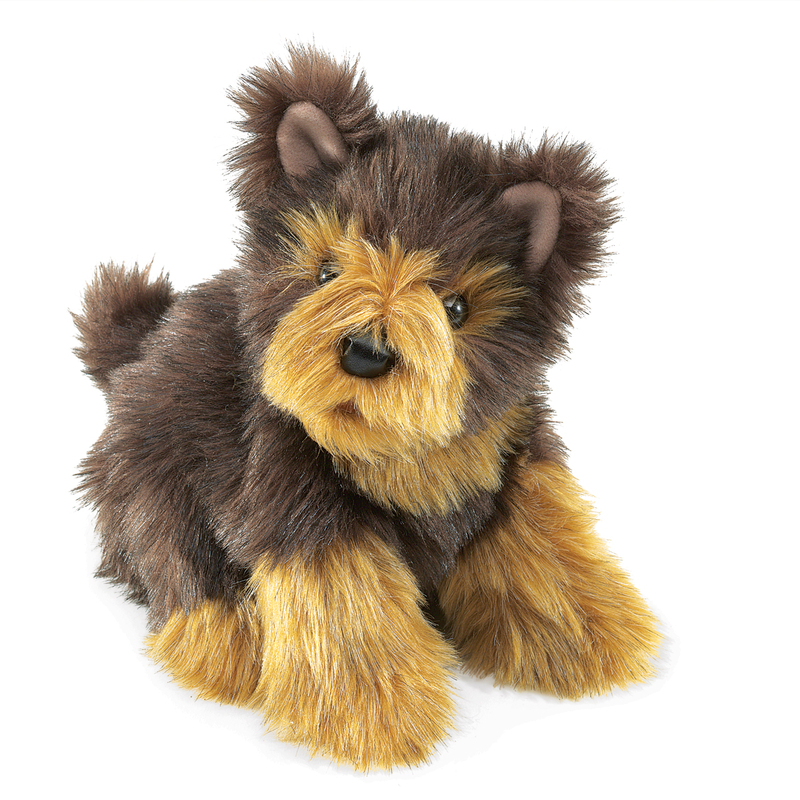 The Yorkshire Terrier puppy is called the Yorkie Pup has a movable mouth and forelegs. 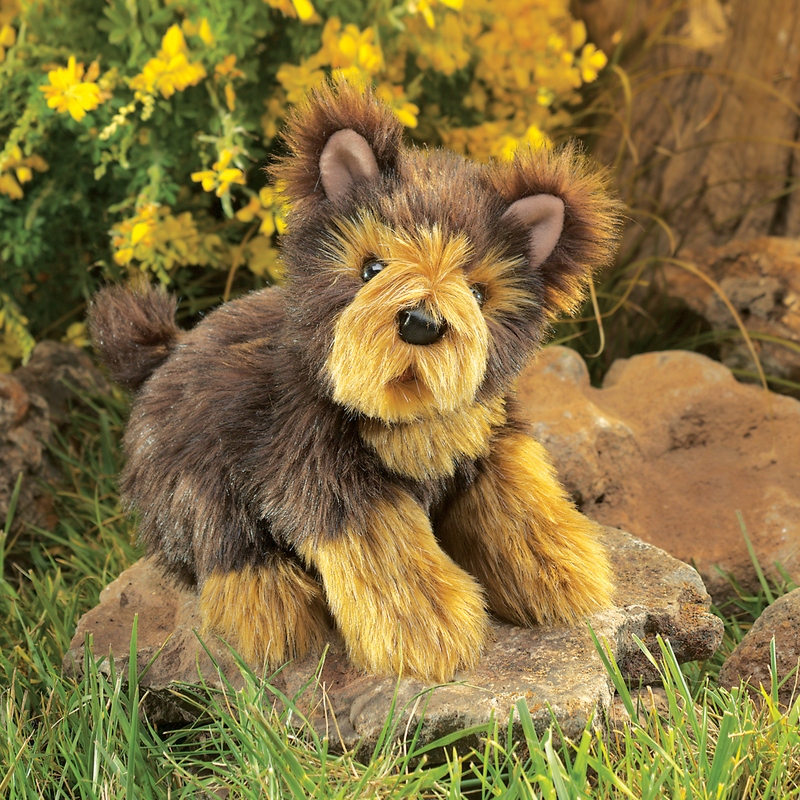 This puppet It is brown with lighter brown highlights on the fur. Your put your hand into the back end of the puppet to move the legs. You will need a small hand to work the puppet. It is 11 inches long, 6 inches wide and 9 inches tall (27.9 x 15.2 x 22.9 cm). Released by Folkmanis in late September 2014.